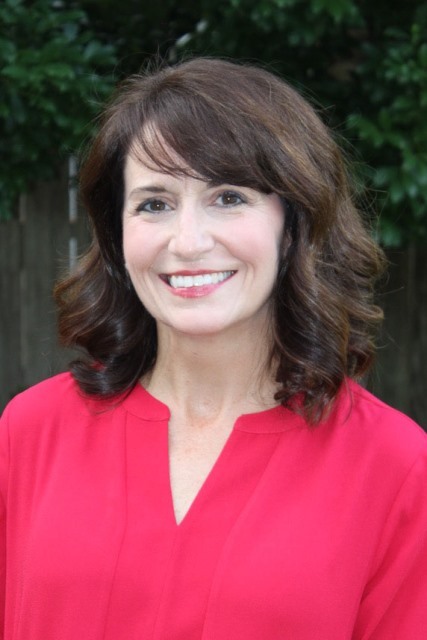 The Academy of the Sacred Heart and the Rosary Sacred Heart Alumnae Association are pleased to announce Suzanne Gaubert Kling as recipient of the 2018 St. Rose Philippine Duchesne Award. This award is given to an individual who, though not an alumna of the Rosary, has and continues to render outstanding service to the school. Suzanne Gaubert Kling has been active in the Sacred Heart community since her daughter, Madeline Kling ’19, entered the school in 2004. She has served countless roles through the Mothers’ Club, including the Executive Committee as the 2nd Vice-President (2009-2010), 1st Co-Vice President (2010-2011), Co-President (2011-2012), and Past Co-President (2012-2013). Suzanne has also been an active member of several committees such as Christmas Decorations and Faculty Appreciation and has chaired/co-chaired the Hospitality Committee, Book Fair, Graduation Flowers, and Congé Confetti Eggs. Suzanne has also served as a Library Helper, Lunch Mom, Tuesday Tour Guide, New Parent Mentor, and Room Mother, and she sat on three focus groups for staff/administration hiring. Outside of her commitment to Sacred Heart, Suzanne is a reading tutor with STAIR, Jesuit High School volunteer, and past Stuart Hall volunteer. What does it mean to you to be the recipient of the St. Philippine Duchesne Award? When I received the phone call to inform me about this award, I was just overwhelmed. My daughter was sitting next to me at that moment, and I realized how much my involvement with activities at school had helped me to appreciate what a special place Sacred Heart has become to our family. I feel truly honored to be recognized in this way. What does Sacred Heart mean to you? Over the past fifteen years, Sacred Heart has been a place of welcome for me. The fact that I did not grow up in New Orleans or attend Sacred Heart has never affected my sense of belonging here. It has become not only a second home to our daughter but also to our family. I will always be grateful for the many ways our time here has enriched our lives. How has your time as part of the Sacred Heart community impacted you? The time I have spent at Sacred Heart has opened me up to genuine friendships and opportunities for growth in faith and service that have filled me with joy and satisfaction. I believe that I am more willing and open to help where I can and when I can. What is your favorite memory at Sacred Heart? I hold close to my heart wonderful memories about my Sacred Heart experience, but I think my favorites are the feast days that are celebrated by the entire school community. The curtain opening to reveal the senior selected to represent Mater Admirabilis, the presentation acted by students to show St. Rose Philippine’s journey and life in the United States, the beautiful music we sing on those days, and even the excitement to share goûter - these celebrations demonstrate the traditions that are unique to Sacred Heart and that I will always cherish.